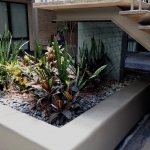 Plantscapers is proud to announce the awards they won for interior plantscaping. 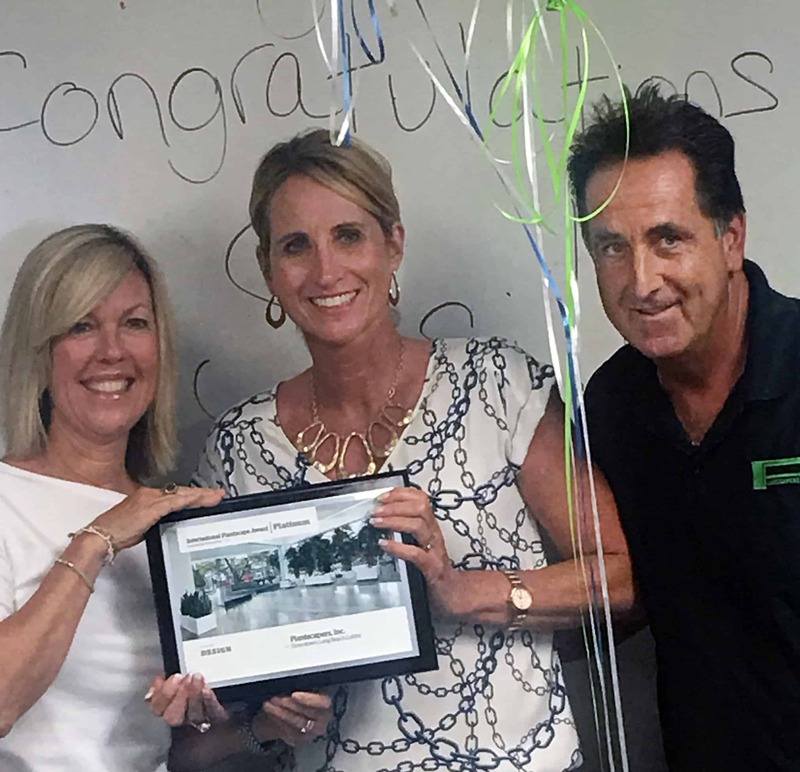 Hard work, talent and great teamwork brought about the recognition placed by American Hort at the International Plantscape Award ceremony that distinguishes designs by interior plantscape professionals. The event took place in Columbus, Ohio last month July at the horticulture industry tradeshow, Cultivate’17. Julie Davis Farrow, Mark Farrow and Jason Cupp of Plantscapers attended the awards event. Susi Tomich, design consultant for Plantscapers unfortunately could not be present for the awards. She won the prestigious Platinum International Plantscape Award in the Silk, Replica, and Preserved category for the Replica Atrium Health Lobby she designed while working closely with the team at LPA Architects. 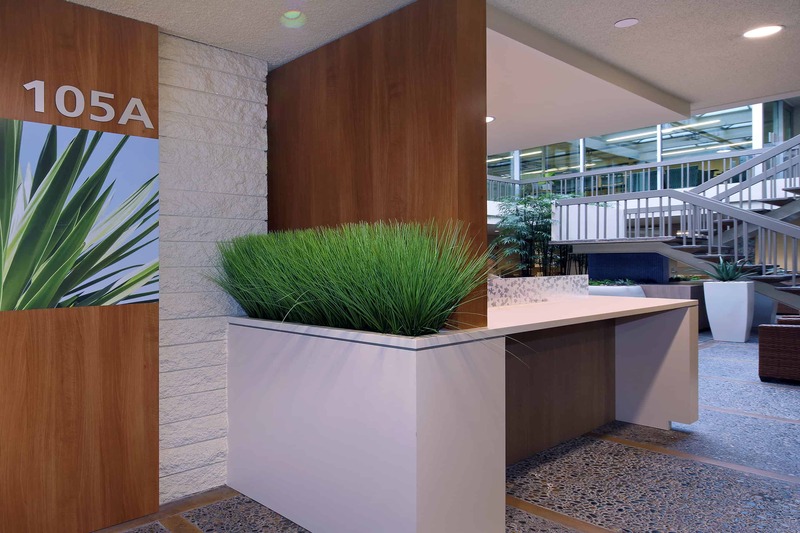 Replica succulent wall adds a soothing element in the lobby. 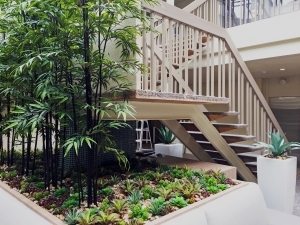 Plants, even replicas, add a beautiful element to interior designs. Before: Atrium sorely in need of change. 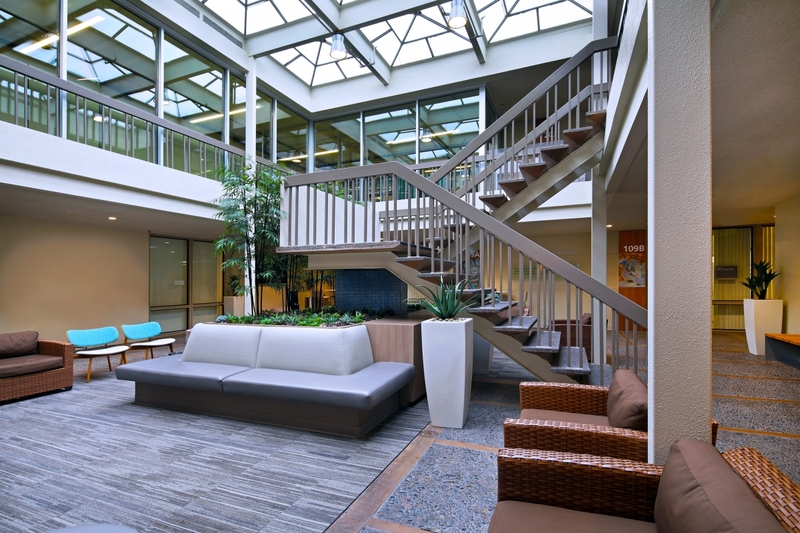 Their goal was to achieve a soft, soothing atmosphere for patients and caregivers. 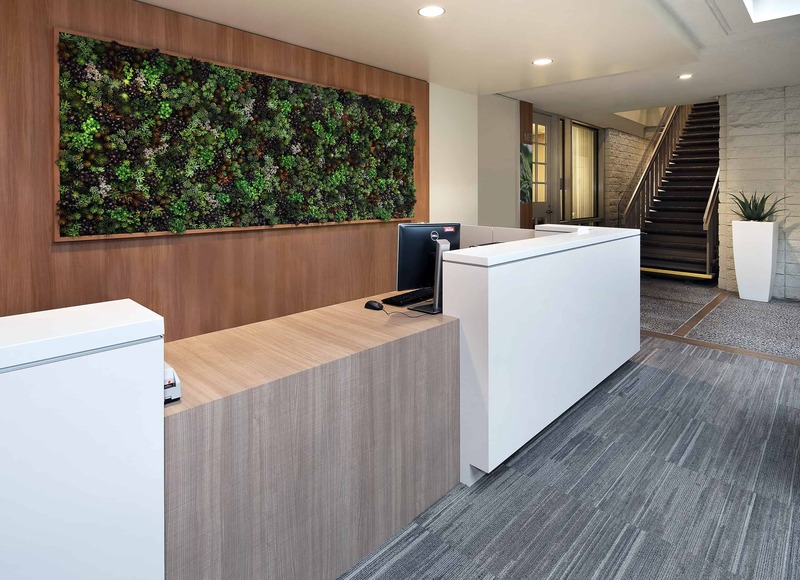 The result brought the outdoors indoors where Susi and her team incorporated the visual sight of nature to relax and promote wellness in the surrounding space. After: The effect of interior plantscaping is stunning. The intent for an interior landscape in a limited space and the client’s request of replicas required a solution that manifested with custom made black bamboo and succulent replicas. 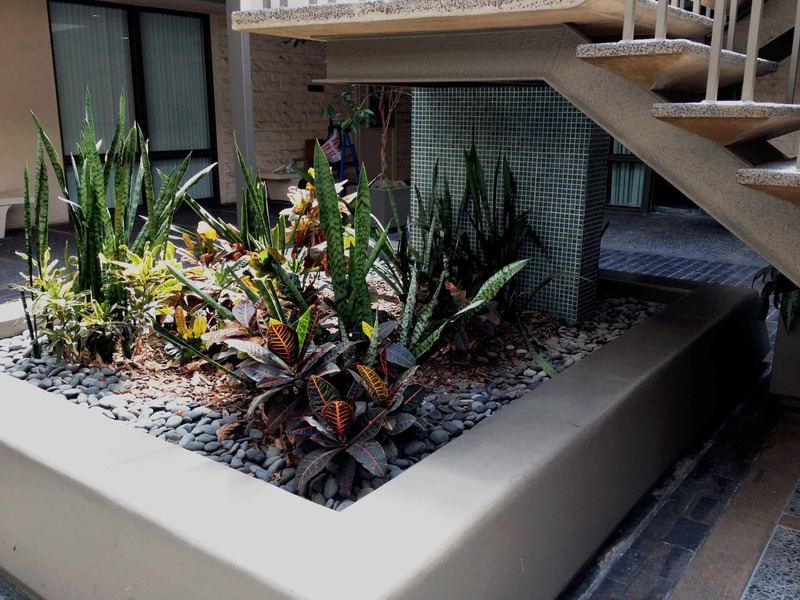 Patients and non-patients alike can now sit and enjoy a gorgeous haven transformed by our dedicated team. Along with the replica atrium, a fabulous replica sedum (succulent) wall was also installed in the lobby. The wall brings about a calming effect to all who witness the amazing piece of art. We thank LPA and everyone involved for their dedication and talent in transforming a space into a vibrant, welcoming atrium to be enjoyed by many in the years to come.